Maybe online learning isn't something familiar to you, or maybe you're unsure how it could fit into your organization's programs for fathers. We can help answer those questions and more with our upcoming webinar: An Introduction to Fathering in 15™ on Wednesday September 27 at 2pm EDT. NFI recently launched its first ever, online learning experience for you to use with the dads you serve, and now you have a chance to see it live in action during our upcoming webinar! Fathering in 15™ uses an online, mobile-accessible format that allows you to engage fathers in learning wherever they are. There is no facilitator required and it's extremely affordable at just $199 per location for unlimited use by staff with dads. 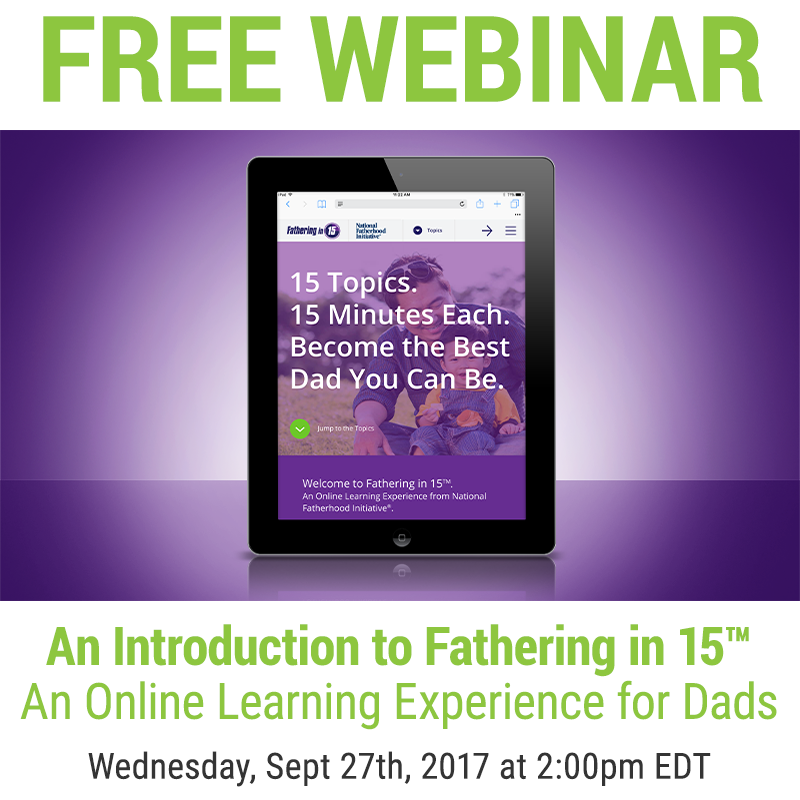 Join us to learn all about this brand new resource and to see how Fathering in 15 will take your father engagement efforts to a whole new level! Don't delay - register today!